...through an unparalleled wilderness experience, with the utmost levels of privacy. Located at the end of a winding road and surrounded only by Ontario Crown forest, The Bear Stand offers a remote and truly private experience on almost 100 acres of natural beauty. …of an unhurried existence, in your very own architectural gem, a world away from daily living. In a place that allows you to relax and recharge, to enjoy the great outdoors, to be inspired, and to build everlasting bonds with family and friends. Cosy up around a roaring fire – roasting marshmallows and telling scary tales from the dark side. Two outdoor fire pits and two indoor wood-burning fireplaces allow imaginations to run wild. S’mores anyone? Relax, dine or recline on our expansive exterior deck. Grab a cocktail, your sunscreen and a good book. Later, fire up the BBQ and crack open a cold beer from the coolbox. Perfect for a sundowner or three. Be outside even when you’re in! Ceiling-high wood-framed mesh screens, granite fireplace and overhead heaters in our screened room mean 24/7, year-round bug-free fun. Add a cosy blanket and a mug of hot chocolate and you're all set. ...like you're the boss. With a range of beautiful settings in which to dine, drink and savour, The Bear Stand caters to any occasion. From dinner a deux to a feast for 12, we have everything you need to celebrate in style. After all, your friends and family deserve it. Get out for a dawn paddle, perfect Grandma’s butter tart recipe, craft a family feast, beat your uncle at chess, or discover our woodlands on a hike with the kids. Spend time with those who matter – it’s what we do best at The Bear Stand. Show the kids how it’s really done. Grab a fishing rod and rig up a line, catch bullfrogs in the marsh, push a swing or shoot down a slide, spy on a beaver and chase the loons. It’s what childhood in cottage country is all about. Embark on a journey to days gone by with pastimes unique to the Highlands. Snowshoe the trails or play pond hockey, drive a dogsled, tap some maples at the local sugar shack or ease into an Algonquin chair and relax. Old school fun, revisited. ...in some quality Me Time. The Bear Stand comfortably caters to large groups, but equally offers up stunning spaces for quiet personal retreat. Even with a full house. No stepping on toes, no treading lightly. Just pure, peaceful, selfish indulgence. ...the natural beauty of the Haliburton Highlands. Explore thousands of pristine lakes and an abundance of trails for hiking, snowmobiling and cross-country skiing. Visit some of Canada’s oldest provincial parks, quaint towns, craft breweries, farmer’s markets and local art studios. There's always something to discover – any time of the year. Wander through an unparalleled wilderness experience with the utmost levels of privacy. Indulge In Some Quality Me Time. 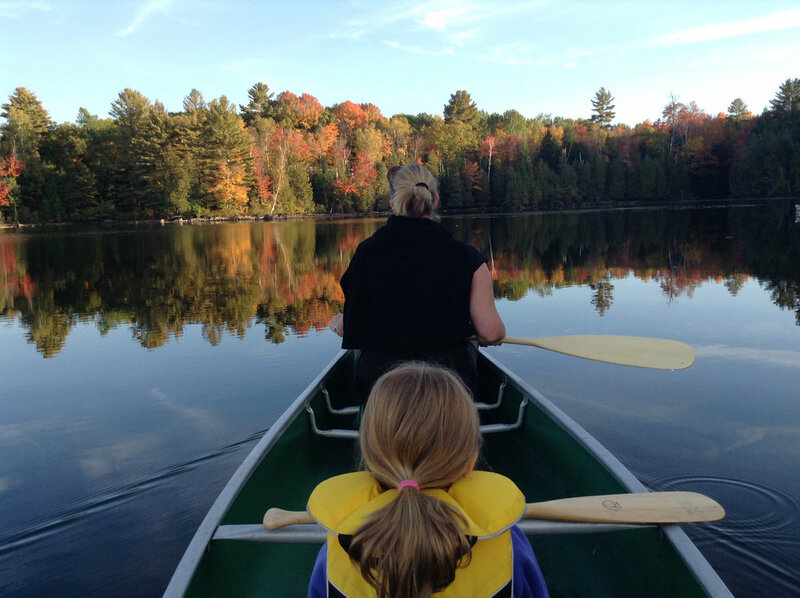 Discover The Natural Beauty of The Haliburton Highlands.